GVA’s “DNA” is design and development. Our product development begins with a detailed analysis of the customers requirements. The result leads to the development of the design, the construction and corresponding simulation, the prototype as scale-model. After this process is successful, production will start. One of the main influencing factors of construction are: dimensions, free spaces and tolerances, the customer-specific process (application area, -goals and -time, material, the environmental standards, the areal / workshop conditions, the weather). Every product is individually customized. Engineering and design is the center point of our development process. The corresponding results of the problem analysis predefine the optimal layout of our future product. The process sets system boundaries and interoperating areas paired with thermodynamic properties and geometric shapes leading to the required framework for the construction. Your product is not performing as expected? This can often be managed by simple changes or optimizing the construction. 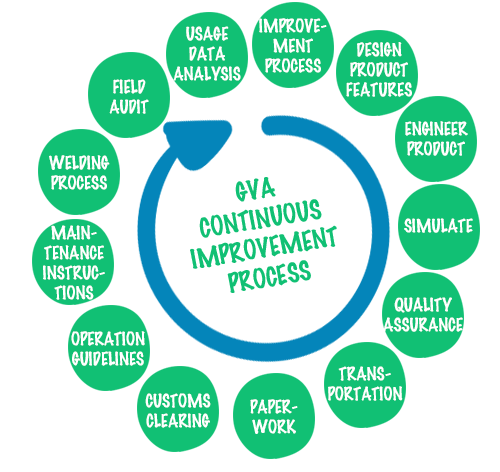 The GVA engineering and design process is the link between the voiced problem and the solution, between starting point and construction, between requirement and final product. Casting metal is an old tradition and craftsmanship! 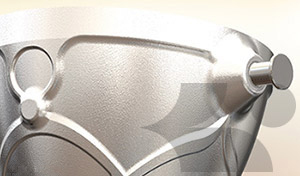 Already within the design and engineering phase GVA refines and defines the casting technology. The use and assistance of “high-tech” at GVA is essential. By using 3D-CAD, rapid prototyping and simulation tools for design, engineering and casting system, GVA can identify product and production flaws at an early stage and improve the desired properties and parameters. Our self-developed procedures adopted in our casting technology create cost efficient products for our clients at a highest possible quality level. Because of our technology procedure, distinctive material knowledge and most modern production process GVA products are premium and intelligent casting, forging and fabricated products on the market. GVA is your specialist for casted, forged and welded products. We implement optimal solutions evaluating and understanding the real customer’s requirement and performance requests. The GVA process starting with the analysis of design and production up to the quality assurance. Every product is evaluated in the inquiry phase considering feasibility, faultless production and quality standards. 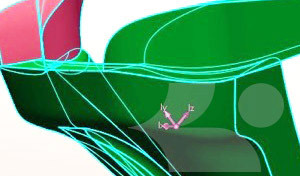 Feasibility analyses are supported by computer-aided methods such as finite elements (FEA) or solidification simulations. These provide further conclusions on design and production. Results from simulations are continuously re-evaluated, starting with their first operation, and designs are developed further. These results are also included into our quality assurance and inspection of all products. The intense cooperation between GVA employees and engineers and technicians of our clients results in a creative and highly professional working atmosphere, having a positive impact on the performance and quality of our products. One key component to this success is the continuous education and training of GVA’s employees within the specialist’s field. Detailed documentation of developments and lab results are the foundation of a solid base for a feasible framework of efficient and risk-free new products. Based on our experience in regards to these products, we often develop complete new concepts around the application. Part of this system is GVA’s “continuous improvement process” – a process to implement permanent adjustments and developments in every step of the production process.